My youngest son loves going to Church. On Sunday morning he is the first one up and always bouncing around trying to get the rest of us out of the door. My oldest has hit that age where he fights me on going. Not because he doesn't love God or know God's love, but because he just wants to sleep in and play games. I force him to go and every time he has a blast and he is happy that he went. Once my son picked up this book he just couldn't put it down. And he even showed his younger brother stuff and was trying to teach him!! Not only is he in God's word, but he is also sharing it! 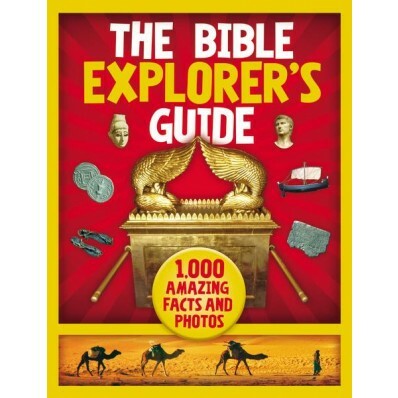 (Yes this was such a proud mama moment) The Bible Explorer's Guide gets kids excited and answer some of those "Why and how" questions that they have.